The vocational component of The Meeting Place assists members in preparing for, securing and retaining employment. The first step is accomplished through participation in the Clubhouse units, which increases stamina, self-confidence, problem solving skills, and the ability to interact and work cooperatively with a variety of individuals. Whether you’re entering the workforce for the first time, or re-entering after a long absence, the Clubhouse offers a variety of options designed to assist you with this important transition. Members may return to work through transitional, supported, or independent employment. The member obtains a job in the community without assistance from the Clubhouse. Support is provided to assist the member to sustain and upgrade this employment. The Clubhouse helps the member obtain a job in the community and provides the support necessary to maintain the position. This job has no built-in time limits and members must go through the regular application and interview process. Members are placed in part-time entry-level jobs with local businesses for a period of six to nine months. 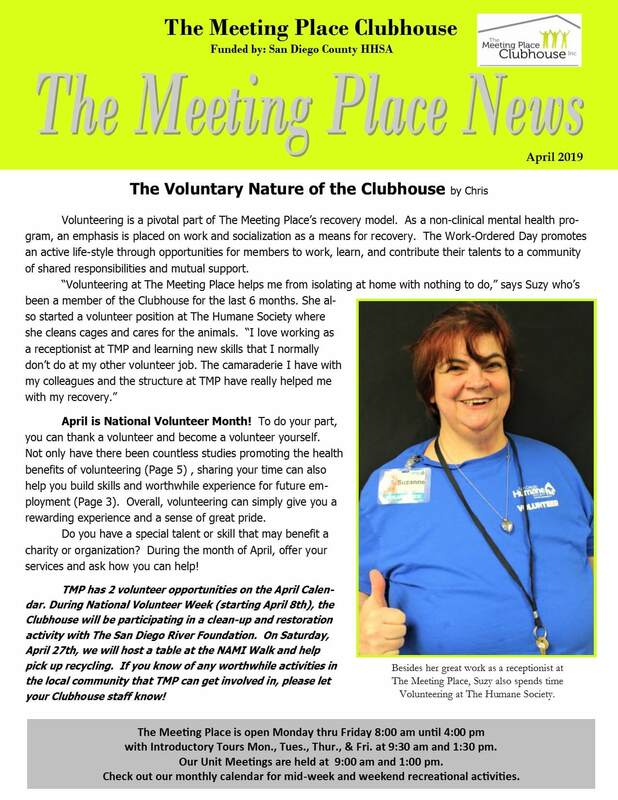 The Clubhouse staff selects, trains, and provides on-the-job support. Additionally, if the member can’t make it to work, the Clubhouse staff fills in for the member at no cost to the employer. 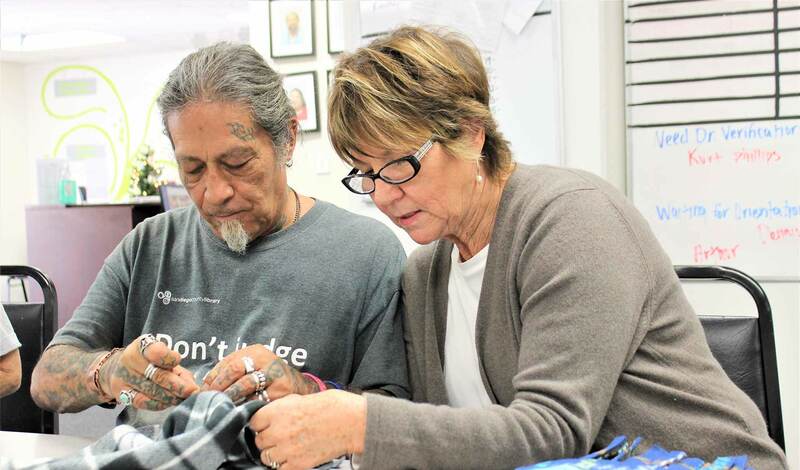 The mission of The Meeting Place Clubhouse is to support adults in San Diego County with mental health disorders by providing opportunities for work, education, wellness, housing, and friendship.